Welcome to this Beautiful home in the heart of Okolona! 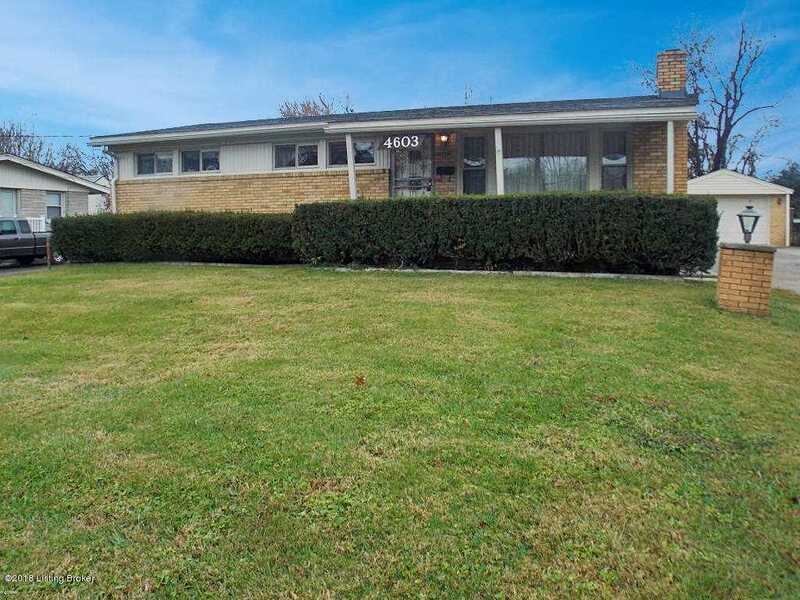 This 3 bedroom 1.5 bath home offers a finished basement and 1 car detached garage. Upon entering you will find the formal Living Room with cozy fireplace. Main floor features are Kitchen, dining room, 3 bedrooms and 1.5 baths. Original Hardwood flooring underneath the carpeting. Basement has 2 very spacious family rooms with a bar and pool table. Pool table will remain with property. Backyard is amazing and has plenty of space for family activities. SchoolsClick map icons below to view information for schools near 4603 Miles Ln Louisville, KY 40219.